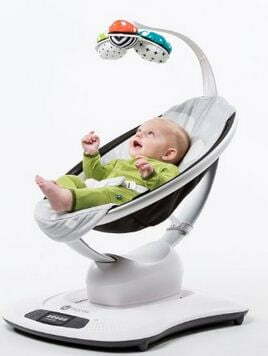 The mamaRoo is the infant seat as a part bouncer as well as the part swing. It bounces up and down and sways from side to side like parents do when comforting their babies. It’s bigger than the most bouncy seat and doesn’t have the quick-fold for storage that most bouncers do. And when compared to a baby swing, the footprint of the mamaroo is it has more swing styles than baby swings. The 4moms mamaroo review will help you to take a quick decision to choose for your baby. 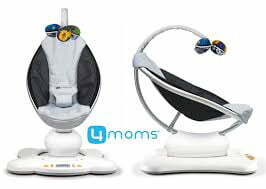 We thoroughly research about mamaroo and here are mamaroo reviews particularly 4moms mamaroo. You will get the proper direction before buying Mamaroo for your loving baby. This is the Bluetooth enabled mamaRoo. 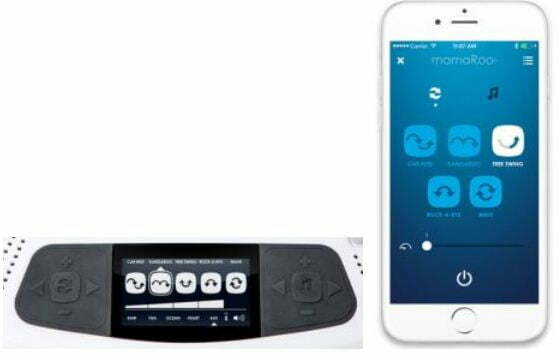 So you will be able to control the motion, sound, speed and volume from your compatible smart device. The 4moms mamaroo comes with five unique motions and five-speed options that move like parents do when comforting their baby. They are Car ride, Kangaroo, Tree swing, Rock a bye and Wave. The mamaroo seat offer adjustable seat reclines to allow baby lie back and relax or sit up and play. The seat is suitable for both newborn and old infant. Seat fabric is easy to remove and machine-washable. Just throw it in the washing machine and it looks good as new. The mobiles are attractive with reversible toy balls. One side is black and white and color on the other side. You can choose one from the four built-in sounds or connect any mp3 device to the mamaRoo to comfort your infant. 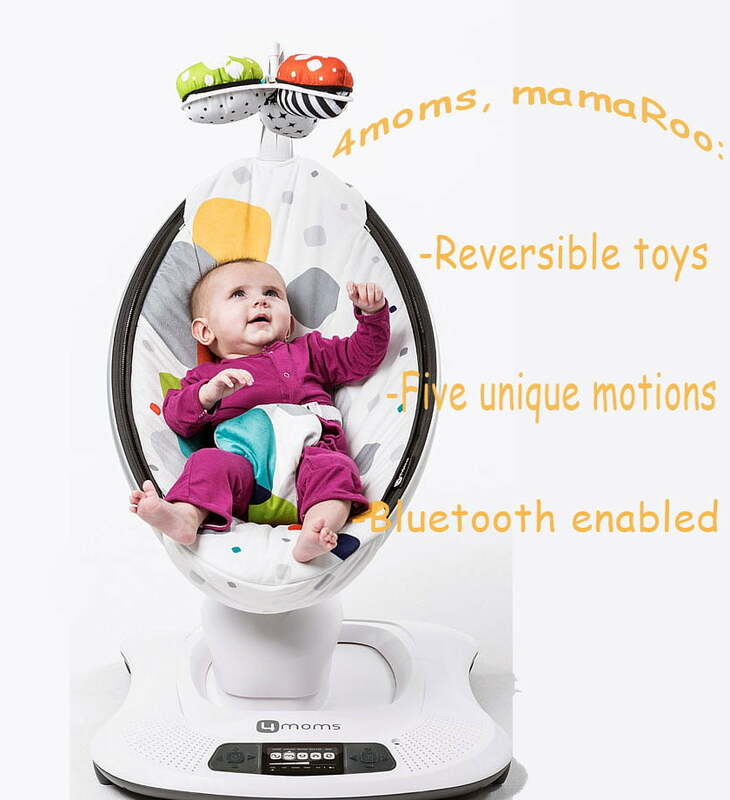 Mamaroo is bluetooth enabled, control motion and sound. You can use your smart device to change movement, speed, and volume. Babies who enjoy car rides may also be enjoying the vibration option of the ride. Where the mamaroo provide without vibration movement. Question: To what size/age this can be used? Answer: It’s an infant bouncer. And this is up to 25lb weight limit. Question: How do I recline the seat? Answer: In order to recline the seat, first, locate the gray latch where the center tail passes through the base, and move the latch to the up position. Once this is done, the center rail can slide in the base to the desired position. Once the seat is in the desired position, return the gray latch to the position. Question: What is the difference between classic and the plush mamaroo? Answer: The difference between the two is the classic is a nylon material and the plush is a softer, but both fabrics can be placed in your washing machine in cold water. Question: Will it allow baby to bounce like a bouncy seat? Answer: No, it doesn’t bounce. It followed the motions of a built-in car ride, kangaroo, tree swing, rock a bye and wave. The little infant will really enjoy this. Mamaroo can be said the helping hand to get house work done and keeps baby happy too. For a family looking for a stylish baby swing, at first glance, and it seems mamaroo is the perfect option. Some babies do want more attraction in their swing or bouncer, especially if they’re colicky. Those babies may not love the mamaRoo. The MamaRoo is admittedly pricey, and it won’t be for every baby or parent. It’s unique style and the durable solution does not take a lot of space and the value of this is truly priceless if a baby is soothed. Small footprint.It doesn't take up much space and is a great relaxer.